Roc with his シャツ off <3. . Wallpaper and background images in the ロック・ロイヤル（マインドレス・ビヘイヴィアー） club tagged: roc royal roc royal baby mindless behavior mindless behavior. lol show off ur guns baby!!! lol wat iz he doin? ROC YOU SHOW EM BABY I LOVE IT YOU HAVE THEE MOST SEXIEST BODY EVER!!!!! 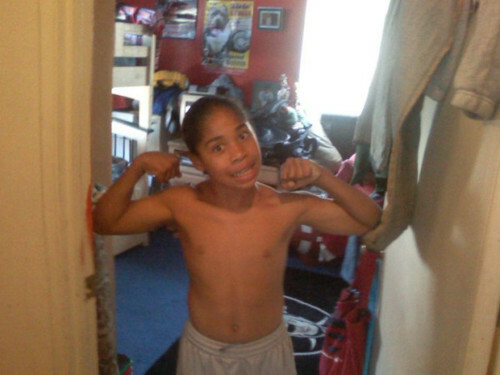 roc you soo freakin fine ur mine i love you!!!!!!!!!!!!!!!!!!!!!!!!!!!!!!!!!!!!!!!­!!!­!!!­!!!­!!!­!!!­!!!­!!!­!!!­!!!­!!!­!!!­!!!­!!!­!!!­!!!­!!!­!!!­!!!­!!!­!!!­!!!­!!!­!!!­!!!­!!!­!!!­!!!­!!!­!!!­!!!­!!!­!!!­!!!­!!!­!!!­!!!­!!!­!!!­!!!­!!!­!!!­!!!­!!!­!!!­!!!­!!!­!!!­!!!­! awl he just sexiii beatiful..
he IS MyBOO and I'm his MIZZ RIGHT!!!!!!! !